What is an Air Blown Fiber Installation? When feeding cable into a duct, a stream of air creates less friction. 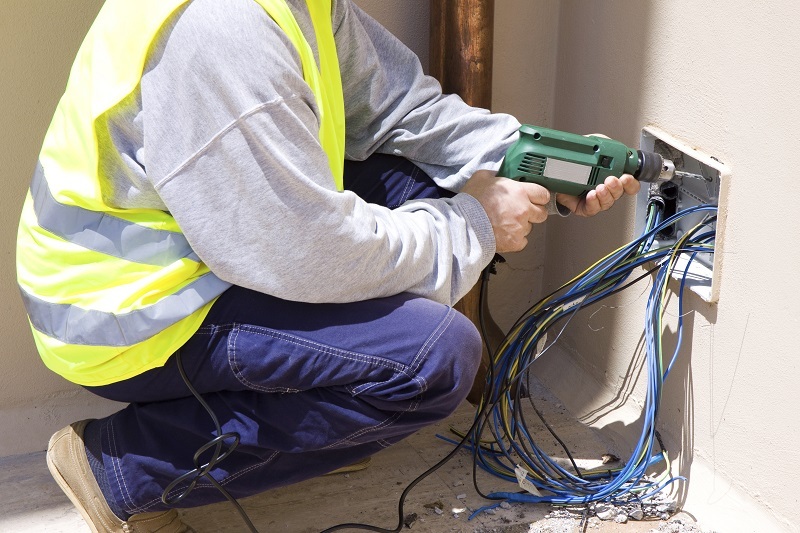 There are several different ways to install fiber cable. You can push or pull the cable, both of which have their own benefits and take different amounts of time. Air blown fiber installation is similar to a pushing type of fiber installation, only air is used to aid the process. Many people think of this type of installation as pushing the fiber cable with air, but in reality it’s a little more than that. Have you ever played air hockey? The puck on an air hockey table glides smoothly when hit because it is elevated by the gentle force of air pushed out of holes on the table beneath the puck. This layer of air between the puck and the table creates a virtually frictionless surface, allowing the puck to zip around the table speedily. This is basically how air blown fiber installation works. The air doesn’t so much push the fiber cable as it simply makes it easier for the installer to push by creating a nearly frictionless surface. The air blown into the duct where the cable is installed reduces the friction between the fiber cable jacket and the inside wall of the duct. The cable touches air instead of the duct, making it much easier and faster to install. It’s time for a quick physics lesson! There are two types of friction that the cable has to overcome while being installed: static friction and dynamic friction. Static friction exists between the fiber cable and the contact surface it is touching while the cable is not in motion. Knowing the amount of static friction we need to overcome tells us how much force we need to apply to start the fiber cable in motion. Dynamic friction exists between the fiber cable and the contact surface while the cable is moving. Knowing the amount of dynamic friction we need to overcome tells us how much force we need to keep the cable in motion until the job is finished. The heavier the cable or the greater the distance to be covered, the more force we’ll need to overcome the dynamic friction. The air blown into the duct acts as a lubricant to minimize these two types of friction and make it easier for the fiber cable to glide through to its destination. This entry was posted on Monday, January 9th, 2017	at 5:03 pm	. You can follow any responses to this entry through the RSS 2.0 feed. Both comments and pings are currently closed.